SalesforceIQ CRM Review: "SalesforceIQ Believer"
We use SalesforceIQ to track our engagement with out customer base. We use it across parts, sales and service. It has helped us address communication within as multiple people deal with customer locations. Tracking phone calls is extremely easy when using the app on the iphone. After a phone call is complete it prompts the user to enter in call details. SalesforceIQ also automatically logs emails for us. This has saved us time from entering in information manually. SalesforceIQ was easy to set up and allowed us customization for fields that were relevant to our business. SalesforceIQ has some reporting items that are a little harder to easily uncover but I have found work arounds or manually created reporting to get that information, such as number of times a salesperson was at a location. Some of the upgrade items I would like to see are available in salesforce sales cloud that allow easier automation for marketing. 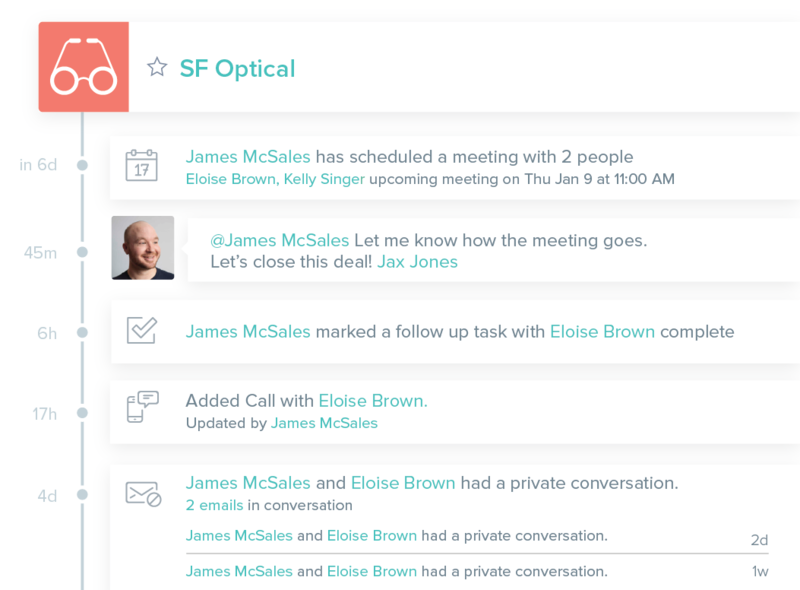 SalesforceIQ is a perfect CRM to start with and get your organization used to tracking customer contact. It was an easy setup and well adopted. It allowed us to rollout completely in just 30 days. We have seen a large increase in our ability to communicate. It may be lacking in some items if you already have a tracking method but was the perfect starting point for us. SalesforceIQ CRM Review: "An ideal CRM tool"
It is a great CRM solution, used briefly by our Sales team. We were exploring alternatives to ZohoCRM. Price point for smaller startups. Not budget friendly. A necessary tool for lead generation and business development. SalesforceIQ CRM is a sales management tool is no longer supported by Salesforce. 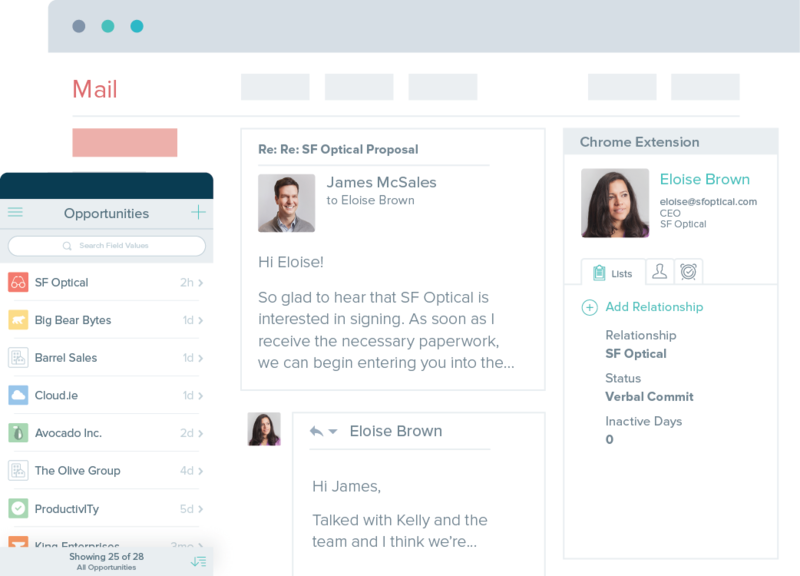 It was designed to integrate with a sales team's email inboxes, automatically capture cross-platform interactions with customers, and analyze collected data to improve customer relationships. 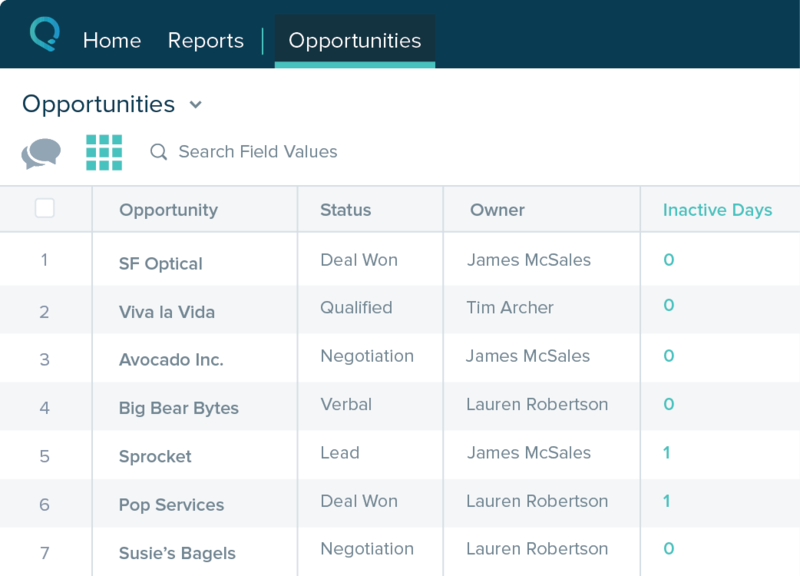 According to the vendor, SalesforceIQ powers sales teams with Relationship Intelligence technology, building the next generation of intelligent software to transform the way teams work through data-driven insights.